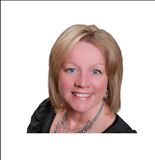 I am a NC licensed Broker associate with Keller Williams Realty. After a property manager position of 8 years I pursued an education in real estate obtaining a salesman's license and immediately after securing a Broker license. I made the career change in 2004 and have been with Keller Williams Realty since the franchise opened in Fayetteville that same year. I specialize in working with sellers to list their home but I also work with buyers and investors. My goal is to provide knowledgeable service in securing the best possible price and terms for my clients. Relocation is a breeze when you have assistance from within. If you are relocating to Ft. Bragg, retiring in the Fayetteville area or a long time resident, you will be provided with the attention you need to find the right home for you and your family in a timely and professional manner from a local resident who understands the real estate market. Service areas include Fayetteville NC, Hope Mills NC, Eastover, Spring Lake, Raeford, Clinton, Godwin, Wade and others. Counties served include Cumberland County, Hoke County, Sampson County and Harnett County areas. For some a home purchase is only for few years, for others a lifetime, for all an investment. Choose someone who has your interest at heart and can provide assistance to Open Doors To Your Dreams. "har ikke inntrykk av at Venstre vingler i noen saker. Litt mer fokus pÃ¥ samarbeid og lÃ¸sninger enn benesgeningrr mener jeg er en lÃ¸sning. Velgere som valgte annerledes i Ã¥r har sine grunner til det. De har sansynligvis fremdeles sympati med venstre og vil komme tilbake om man fokuserer riktig."